Scott joined Colliers International - Central Florida in March of 2015 with a vast knowledge base in consumer and market research across numerous industries. He has utilized key industry and marketing resources to formulate solution-based strategies, collateral materials, proposals, presentations, marketing plans and reports. Emily is an Orlando native with a deep understanding of the local market. She knows the many intricacies that are involved in a successful real estate transaction and the impact that her, and her clients’ work has on her community. 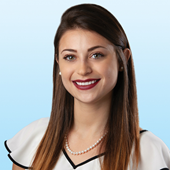 Emily served as Colliers-Florida’s first ever Asset Rotational Intern in the Summer and Fall of 2017, which was designed to rotate its candidates monthly between each asset class, thereby giving candidates a holistic understanding of the commercial real estate brokerage and development industry. Emily graduated from the University of Central Florida, where she received a B.S.B.A. in both Finance and Real Estate with a Commercial Real Estate Development focus. She serves as a member of the Franklin-Hall Land team, here in the Orlando office, where they specialize in the representation of important landowners and the maximization of their clients' property. While working with clients, Emily's and Trevor's top priority is exemplifying consistency, devotion and integrity as they treat every case as if it were their own investment. It is Emily's job to determine the highest and best use of her clients' land assets, so that she may market that asset efficiently to the correct buyers. Emily's position on the Franklin-Hall land team consists of pre-entitlement and pre-development work, as well as all due diligence on her and Trevors' land listings. Emily and Trevor work with land assets positioned for the following asset types, including but not limited to Industrial, Multifamily, Townhome, Retail Mixed Use, Resort, ALF and Medical Office. Emily specalizes in the aquisition of land or covered land to be used for large scale office, multifamily, student housing, or industrial development. She works heavily with adaptive reuse and redevelopment groups in an aquisitions role, searching for prime assets in specific submarkets of Orlando. While studying real estate at the University of Central Florida, Emily participated in the NAIOP Development Challenge in the spring of 2017, where she learned the basic framework associated with Mixed Use Development. Due to her passion for this program, Emily now heads the Orlando NAIOP chapter's Case Competition Board for the 2019 event, and has been asked to head the event for the 2020 year as well. She is enthusiatic about the future of the NAIOP Case Competition and extremely passionate about its' work here in the Central Florida community. In her spare time, Emily serves as an executive board member for the Central Florida chapter of Tri Delta’s Alumni Philanthropy Board. Tri Delta’s official philanthropy is St. Jude Children’s Research Hospital in Nashville, Tennessee. Tri Delta nationally has committed to raising $60 million in ten years, which they are fully on track to do, thanks to the efforts of current members and alumni members nationwide. Emily remains an extremely loyal UCF Knight and Tri Delta alumni. In addition to Emily's volunteer work, she actively plays tennis, practices mixed martial arts, Krav Maga, and rock climbs. 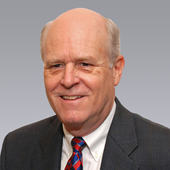 A life long resident of central Florida, Michael initially began his career in the office sector. He developed industry specialties in insurance, telecommunication related firms and corporate facilities. In 2004 his career path began to shift towards retail and he specialized in outparcel site selection primarily for financial institutions. He is known for his in-depth market information including tracking retail availabilities and inventory, rental rates, and land sales comparables. His responsibilities include tenant representation, property acquisition and dispositions. Michael began his career as an Associate at Park Avenue Leasing & Management in 1991. After a brief tenure he left Park Avenue to join Andrew McCaw & Associates. 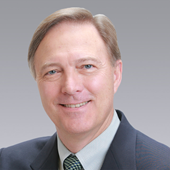 Mr. Sweeney later became a Senior Leasing Associate for Commercial First Properties in 1993. He was instrumental in the growth of Commercial First Properties, which was acquired by Carter & Associates, then merged with Grubb & Ellis in 1998 where he became the top producer in 2003. He joined the Colliers team as a Retail Specialist in February 2008 and continues to help clients solve their real estate issues. 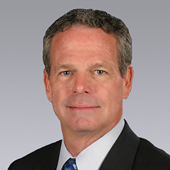 Kent Schwarz is Executive Vice President of Colliers International Hotels and focuses on hotel and resort transactions in Florida, the eastern seaboard and the Caribbean. Kent brings over 30 years of hotel and resort experience to Colliers International Hotels that includes 15 years of transaction specific experience. Prior to joining Colliers he headed the New York office of an international hospitality investment banking firm. Previously, Kent was president of a hotel ownership and management company specializing in full-service and condo-hotels. He also served as divisional manager for Hilton Hotels Corporation at Hilton’s world-headquarters. Kent speaks extensively at investment conferences both in the United States and the Caribbean. He holds real estate broker licenses in multiple states including Florida and New York. 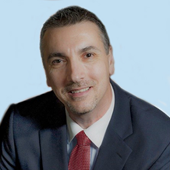 Mike Liguori is leading Seniors Housing and Land Investment Sales in Central Florida with over 20 years senior level experience in investment banking and development services. Mike has been involved in real estate syndication since 2003 and Commercial Real Estate in general for 25 years. His early career was focused on the 1031 marketplace and he was responsible for the investment of over $750M of multifamily, residential and land investments. He’s a former CFP® and currently holds a CPA license in Florida. He has a dual Finance/Accounting degree from the University of Texas and a Masters in Financial Services from the College for Financial Planning.